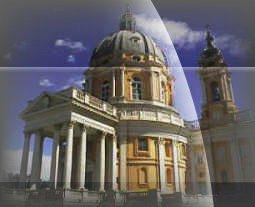 A professional tour guide is the best help to discover the unknown beauty of Turin and Piedmont. Capital of the Duchy of Savoy since 1563 and first capital of Italy in 1861, Turin is one of the most beautiful baroque towns in Europe and the recent industrialization hasn't changed the atmosphere of the historical centre, where you can find the traces of an interesting past, since the Roman foundation in the Ist century BC. The modern travel industry hasn't discovered our region yet and you still have the possibility to visit palaces, churches and museums without having to cope with the problems of mass tourism. Why don't you try to find out what kind of nice surprises are to be found in our town? You also have the possibility to see a copy of the Holy Shroud (the original one is kept in Turin since 1578). Visiting our churches, you can better understand the close relationship between religious feelings and artistic development of the town. Discover Turin and its surroundings with an experienced tour guide. Excursions in the region and specific tours can be arranged on request. Do you need an Italian translation? Are you looking for a book about Turin or Piedmont?